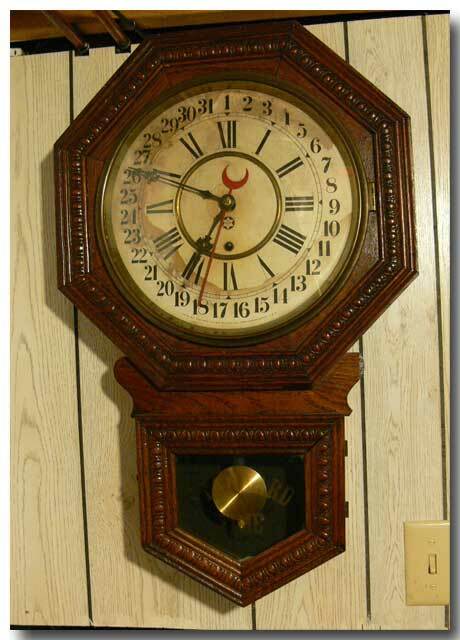 A hanging wall clock by the New Haven Clock Co. in an oak case with beaded decoration. 8 day brass movement in working condition. Time & calendar functions. No chime. 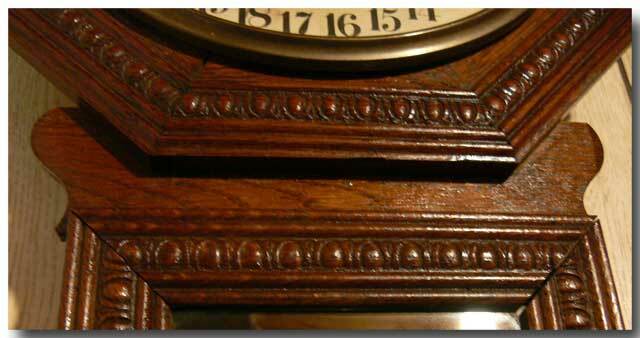 Lower glass reads “STANDARD TIME” in gilt letters. This is the short drop version of the “BANK” model. Original dial & hands. Pendulum bob is a replacement. Some staining to dial(see photo). Approx. size 27 x 17 inches. Circa 1895.